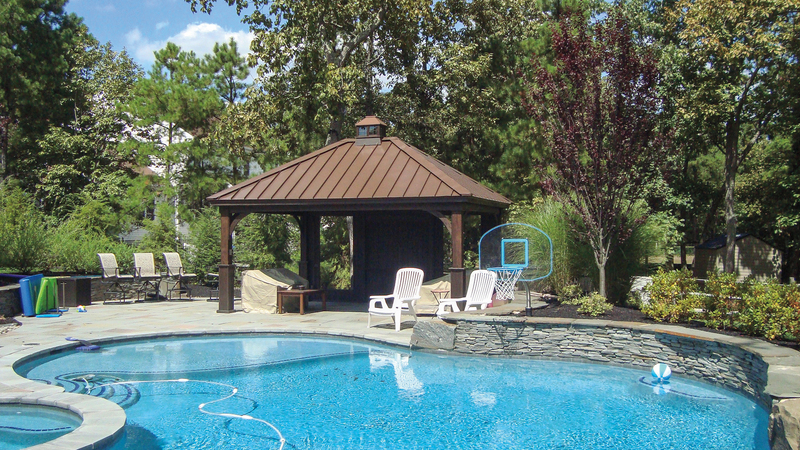 Imagine a shady, poolside retreat to relax under after hours of fun in the pool. 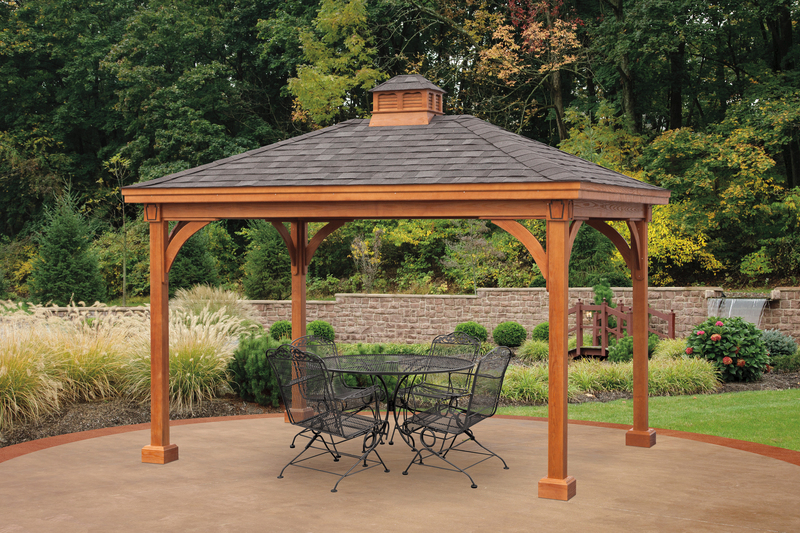 Picture the perfect pavilion for throwing backyard BBQs to enjoy time with family and friends. Envision intimate outdoor family dinners alfresco on cool autumn evenings. 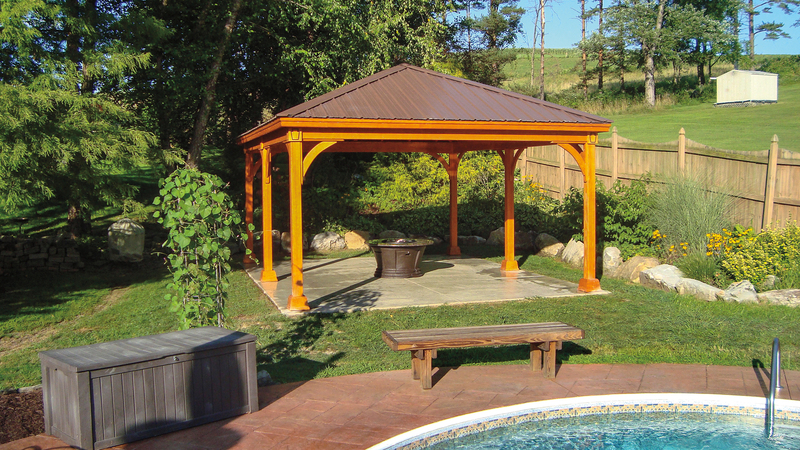 Can you see the Keystone wood pavilion in your backyard? 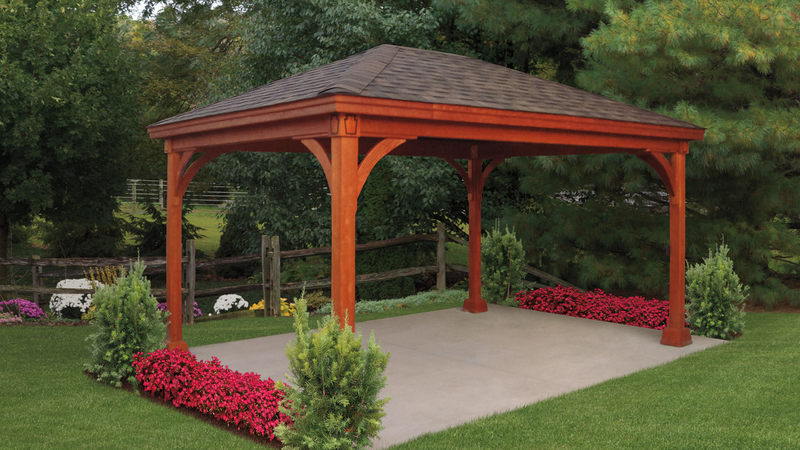 This rustic, handscrafted pavilion gives you a natural look for your backyard structure, letting you enjoy fresh air, sunshine, and all nature has to offer on beautiful sunny days or lazy rainy ones. 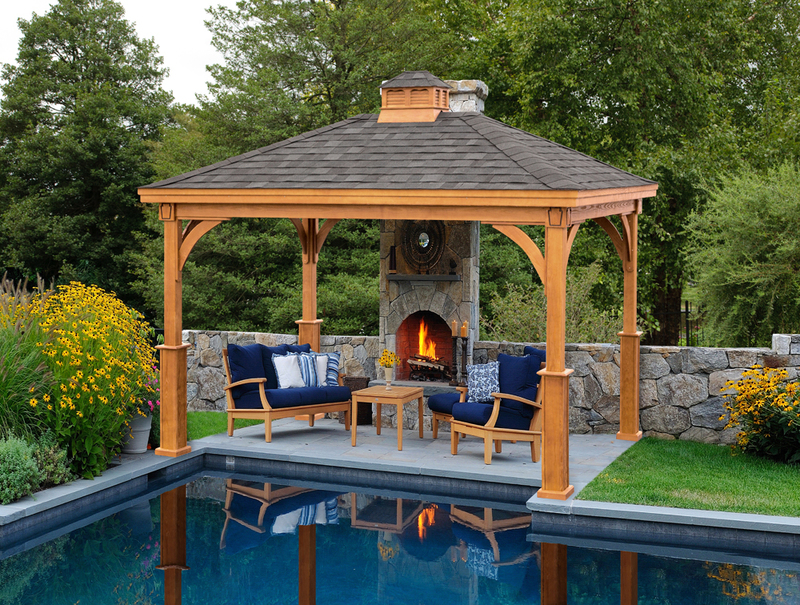 Adding a wood pavilion to your property will transform your backyard into an outdoor living oasis to be enjoyed in comfort in all kinds of weather. 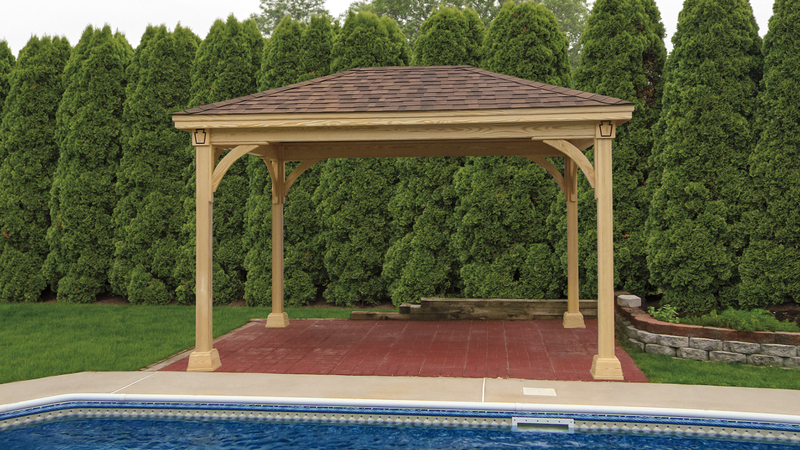 The Keystone wood pavilion comes standard with a distinctive brace and cornercap with a keystone emblem (after all, they're handcrafted in PA!). It also includes unique post trim and your choice of several stain options. Choose from asphalt shingles or a metal roof. Are you picturing the Keystone in your backyard yet? If you're ready to talk design and pricing, give us a call at 877-272-7252 or fill out the form here to request more info or get an estimate!